If you are looking for some advanced workouts that would help you to get in shape or build ripped muscle, then take time to read this article. 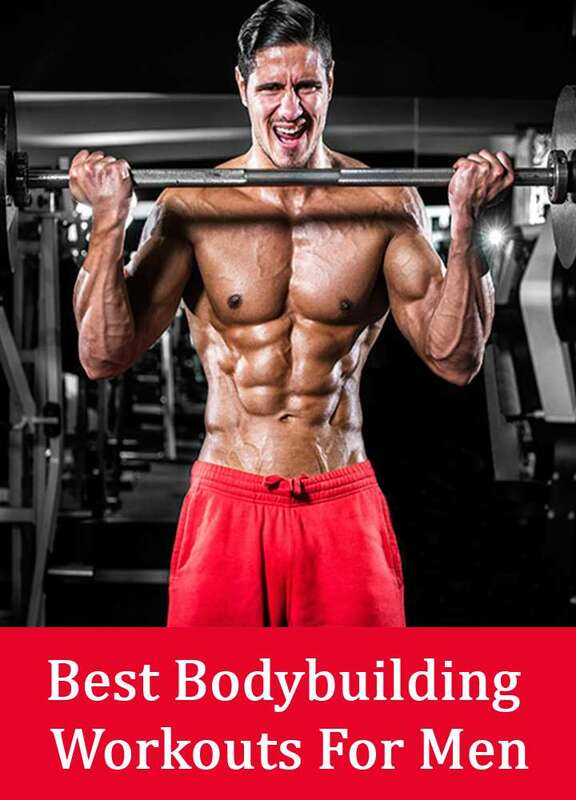 It’s important to know that bodybuilding takes time and all your efforts, determination and discipline are the two important factors that judge your place in bodybuilding. Although there are no miracles in bodybuilding but there are ways, by which you can move forward. Such as getting the right nutrition, proper rest and of-course good workout program which you will see below. Supplementation is also good, it can actually help you to gain muscle and even lose fat. Bent over rows is good exercise that trains your middle back, also targets other muscles like lats and shoulders. First make sure that barbell is having good weight. 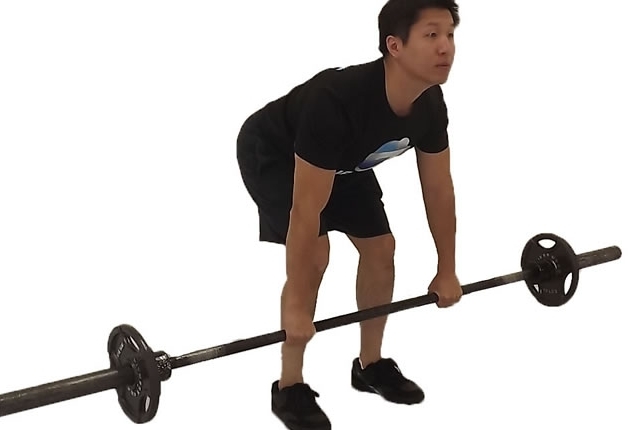 Then stand in front of the barbell and hold it with grip wider than shoulders. Palms facing your body bend your knees. Stand up with the barbell and bend your hips while keeping your back straight. Let your arms hang with the barbell down and look down towards the floor. Now begin to lift the barbell up until your shoulder blades are tightly squeezed. Then slowly bring the weight back to starting place. Repeat the same motion for 15 reps in 2 sets. It’s a type of exercise where you will be using your own body weight. It works on your lats, also targets other muscle like biceps, middle back and even forearms. To start the exercise, first grab the pull up bar with palms facing to your torso and take grip smaller than shoulders. Now that your arms are hanging, keep your torso straight and keep your chest out. Now begin moving your torso up by using your hands and come above until your head is above the pull up bar. Hold a sec, then lower yourself down until your arms get extended. Repeat for 15 reps in 2 sets. One of the best exercise for chest muscles which also works on triceps and shoulders. It most common exercise in bodybuilding. To begin this exercise for lie down on the flat bench and adjust yourselves such that your back is straight. Feet resting on the floor to the each side of bench. And take shoulder’s width on the barbell and lift it from the rack. Then lower the weight down until it comes close to upper chest and lift it back up by extending your arms slowly. Do about 15 reps in 2 sets. Dumbbell Shoulder press just like military press builds your shoulder muscles. 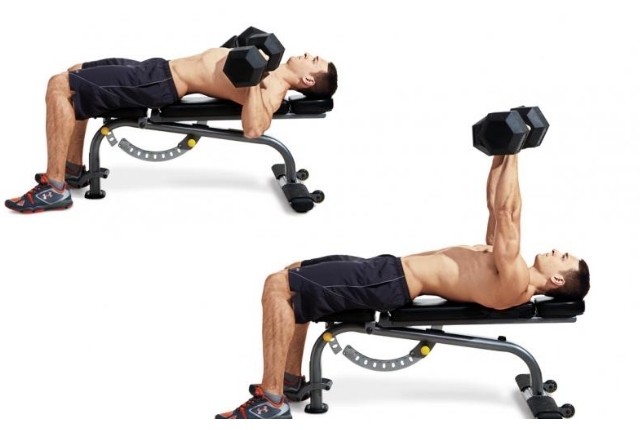 To start with sit on the military press bench and grab heavy dumbbells in each hand. Rest those weights on your thighs and keep your straight back. Move the weights up to the side of the shoulders with your palms facing front, that’s your starting position. 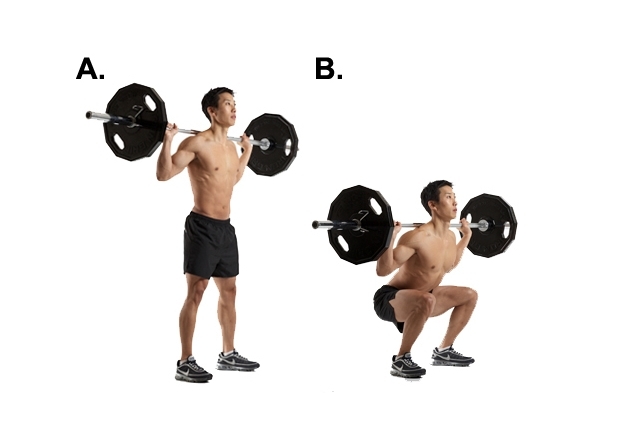 Begin to move the weights upwards as high as possible and then slowly come down to the first place. Repeat the same movement for 15 reps in 2 sets. To get huge legs, you must squat regularly. It is the best exercise that targets different muscles in lower body but effectively works on quadriceps. First mount the weight on the rack at chest level. Then prepare yourselves, keep your back straight and relax your legs. Place your hands at shoulder’s width and let the weight rest on the back of the shoulders. Then lift it from the rack and bend your knees a bit. Begin to come down with the weight, using only hips and knees. Then push your legs up, again your knees to lift the weight up. Repeat for 15 reps in 2 sets.